I love helping people take care of themselves through massage. Whether it’s a tired mom in need of some overdue relaxation, a restaurant server seeking relief from chronic pain, or an athlete with a sports-related injury – I love to help everyone. At Well Massage, the main goal is your wellbeing. To help you achieve more relaxation and freedom from aches and pains, I have designed a unique session-length offering. I believe that you deserve MORE rather than less. The extended session times I offer allow for thorough and thoughtful therapy. A combination of the following treatment modalities can be incorporated into your session: Trigger Point Therapy, Myofascial Release, Deep Tissue Therapy, Relaxation/Swedish Massage, Reflexology, Lymphatic Drainage, Gentle Stretching, Sports Massage, Aromatherapy….I look forward to helping you on your journey to be WELL! Tiffany is a Licensed Massage Therapist and Owner of Well Massage. After completing her training at The Soma Institute in downtown Chicago, she launched her career at the Spa @ the Wit, inside the Wit Hotel on State Street. Her skill set grew while employed there by providing Hot Stone Massage and Body Wraps & Scrubs. 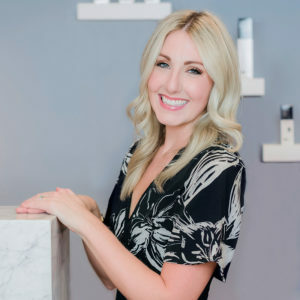 After learning that the prestigious British-born company, Soho House, was opening a house in Chicago, she jumped at the opportunity to apply for a position at their spa, Cowshed. Out of hundreds of applicants, she was chosen as part of the spa’s opening team. During the training week, she was given the honor of Lead Massage Therapist and was responsible for training other therapists at that location, in addition to providing massage therapy for clients. Her clientele ranged from executives to actors to professional musicians and athletes. Although she loved her time at Cowshed (and her clients! ), she has chosen to open her own practice closer to home. Tiffany is thrilled and honored to serve the Fox Valley area and offer you a place where you can continue your pursuit of being fully well. Welcome to Well Massage! Tiffany gives the most amazing massages EVER!!! Traveling all over and getting many massages, none can even come close to hers!! I am so thankful for her care and knowledge. I have come to her with intense back & neck pain and always left feeling better. Whether you’re dealing with pain or just needing to destress, relax & care for your mind and body, you must see Tiffany! As a former elite competitive athlete, I have utilized massage therapy for decades. Tiffany Plourdé at Well Massage maybe the most skilled, knowledgeable and empathic therapist I’ve ever seen. Unfortunately, I’ve suffered overuse injuries from all the years of my training but– in her hands, I recover faster and feel better than ever. I cannot recommend Tiffany Plourdé enough! Thank you for your help!! I’ve had many massages over the years, but none compare to the massage I received from Tiffany. She is a true professional and far exceeded my expectations. She definitely goes the extra mile. If you’re considering booking with Tiffany, I promise you won’t be disappointed! Every session is fully customized to address your specific concerns and goals. Session times reflect total hands-on time. Your complete Well Massage experience will also include an intake process and after care recommendations. Please schedule with that timing in mind. This 100 minute session allows for optimum results with deep tissue therapy, ultimate relaxation, or both! You pick your goal. Not too short and not too long-this 70 minute session gives you the perfect break that you deserve! Please notify us of any appointment changes or cancellations at least 24 hours prior to your appointment. IT’S THE ONLY PLACE YOU HAVE TO LIVE! Here are some basic things to keep in mind and helpful tips when getting a massage. It’s my first time at Well Massage. What do I need to know? WELCOME! Thank you for scheduling! Well Massage is located inside of IPOSH, on the 2nd floor above Re-Vived. Please plan to arrive about 10 minutes prior to your appointment time to fill out your First Visit Paperwork. We will then chat about what you are looking to achieve, both in the initial session and any long-term goals you have for your wellbeing. After your massage, I will give recommendations about your at home self-care and wellness. Feel free to reach out with any additional questions that you may have. What does my appointment time include? Any appointment you book reflects the total ‘hands-on’ treatment time. There will be additional time before your treatment for consultation and after your treatment for any self-care recommendations I have for you. Please take this into consideration when booking your appointment. If you are late, the treatment time may be reduced. I’m sensitive to fragrance! I’m allergic to nuts! Since our skin is the largest organ, I want to be considerate of what goes on it, especially if you have sensitivities or allergies. Well Massage blends therapeutic grade essential oils with an ultra-hydrating Almond, Coconut, and Hawaiian Kukui Nut Oil into every treatment, but also offers unscented and nut-free options. I’m under 18 years old. Can I get a massage? Yes. Your parent or legal guardian just needs to be present at your appointment and sign a little bit of paperwork. First of all, CONGRATULATIONS! After the first trimester, massage is great for you and your overall health during your pregnancy. However, due to space limitations, Well Massage does not currently offer Prenatal Massage. Credit Card, Cash, or Personal Check. SELF CARE IS SO IMPORTANT. WHEN YOU TAKE TIME TO REPLENISH YOUR SPIRIT, IT ALLOWS YOU TO SERVE OTHERS FROM THE OUTFLOW. Here at Well Massage we care about you, your experience, and well being. If there is anything we can do to help your experience or if you have any questions please don’t hesitate to contact us! Well Massage is located inside of IPOSH, on the 2nd floor above Re-Vived. Enter through the right door on the porch.